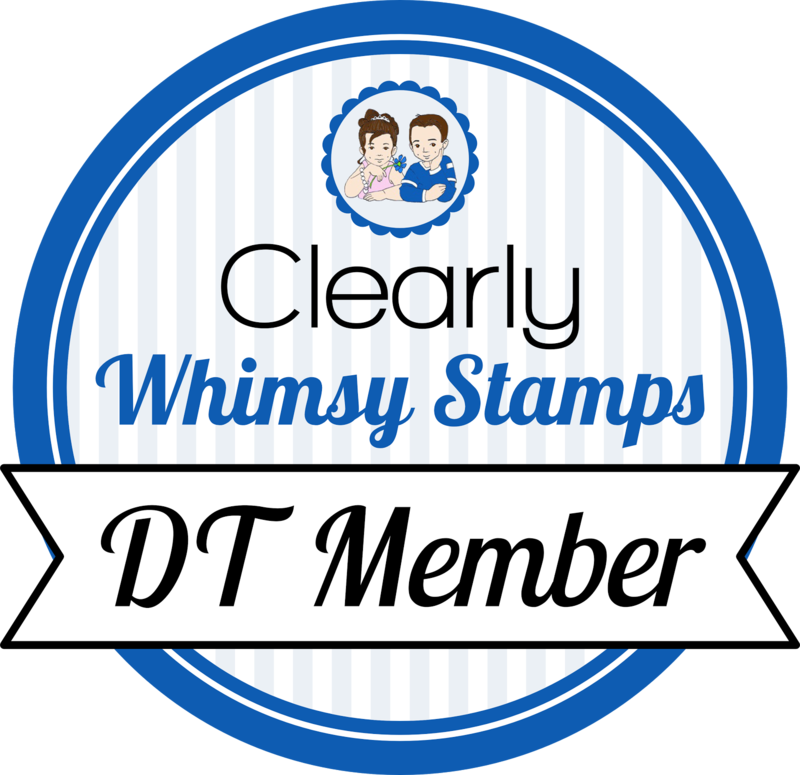 I have swaps to finish up, but I squeezed in a card challenge. Sharon Johnson posts a challenge every Friday, and today's was color blocking. I'm not sure if I achieved it, but I like the card anyway! I saw this color combo in a stack of towels as I was shopping with my mom today, though the green towel was a bit more yellow. Alas, I have no cardstock that color, so I made do with celery. I actually used a white base to adhere my color strips to, it is just easier for me. I wheeled the dots on the celery piece, left the coral piece alone, and pierced the bottom edge of the ruby piece. I punched a hole in the ghost heart and tied the ribbon around the color strip and throught the heart. 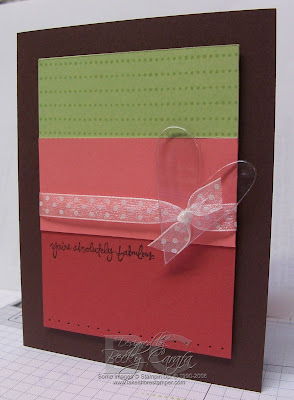 I stamped the sentiment and then attached the whole colored strip to the chocolate card base using dimensionals. Cute! love how you've attached that ghost heart! Very cool card...I love these colors together! This is gorgeous!!! I love it!!! Your colors all just pop against the chocolate!!! I, too, ofen use a sheet of white to adhere my dp to!!! LOVE your design -- it is fabulous!!! I am so glad you played today -- thanks so much!!! So so pretty! I love that ghost heart! LOOOOVE this!! Clean and simple!! Super cute card! I love the colors and of course that sweet 'lil heart!! These colours look FAB together! Lovely card! I just ADORE your style. So lean and clean. Everything is perfectly balanced! Thanks for sharing! THis is so pretty! Love the colors and that HEART! Mm! Fabulous job! I really love what you did with the heart. It's incredible and so inventive!